What Is The Best Pillow for Sleep? It is important for everybody to have the best pillow to support their neck when they sleep. During the day many stresses are placed on the neck and shoulders. This can cause strain and pain. Headaches are common when the neck is not properly supported. Sitting at a desk all day, texting or using other devices, working at a computer, bad postures, carrying pockets books, car accidents and other minor traumas accumulate on the neck and upper back. to heal. Unfortunately most people have unsupportive pillows or they are placed improperly. A pillow is actually meant to go under the neck, not just under the head. When positioned properly your head and neck should be properly aligned. Sleeping on your back, your head should be balanced so it’s neither falling back toward the mattress nor pushed into a forward position as that’s how your neck is most likely all day long. 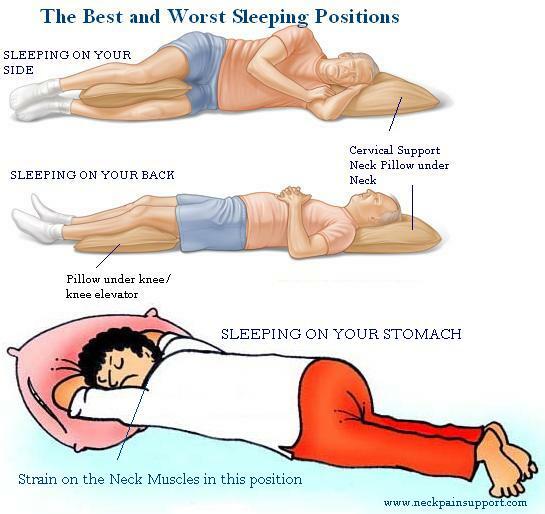 If you sleep on your side, your head and neck should be neutral with your spine kept straight in alignment. The Chiroflow pillow has clinical studies done at both Johns Hopkins University and Logan College of Chiropractic. The Chiroflow water pillow rated best in all 5 categories in reducing neck pain intensity and improved quality of sleep. Even patients that were suffering with chronic neck pain and disability showed improvement when they switched to the Chiroflow pillow as a part of their chiropractic treatment plan. If you are looking for the best pillow for neck pain relief and improve your quality of sleep, make sure to try the Chiroflow waterbase pillow! If you are in Freehold, NJ or surrounding area, Hometown Family Wellness Center makes sure to have the pillows available and in stock!